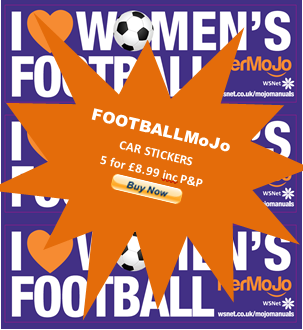 I LOVE WOMEN'S SPORT - Car Sticker #ThisGirlCan show she cares! Your chance to 'Be the Change' - Participate, Compete & Empower. Get using some of WSNet's FREE services on ACTIVEMapX, HerJOBSNet, #FANZone, WSNTV - all part of WomenSportsWeek.